Can the Atari Token gobble up cryptocurrency competition? Atari has announced that it will be developing a digital currency called Atari Token. Atari (incorporated in 1972) was once a huge player in the video-game industry but struggled to compete against Sony, Sega and Nintendo in the game-console market of the 1990s. Forget about Bitcoin, Litecoin and all the others. There’s going to be a new player on the blockchain that will be irresistible to anyone who ever wasted hours enjoying Pac-Man, Pong or Space Invaders. That’s right, Atari S.A. (the brand name is now owned by a French holding company) will be creating the Atari Token, a virtual currency that can be spent on a digital entertainment platform, which is likely to involve casino-style gaming. Cryptocurrency investors and those generally interested in the digital finance industry will no doubt be curious to hear about such a storied brand name being associated with virtual currency. However, Atari is not the only blast from the past that has tried to muscle in on territory dominated by the likes of Ripple and Ethereum. Kodak, beloved pioneers of commercial photographic film, recently had a crack at breaking the cryptocurrency market with KODAKCoin. It appears this kind of business excites stock traders: Kodak’s stock price soared after the announcement of KODAKCoin, and now Atari’s reveal has sent its shares through the roof, too. Initial excitement may die down pretty quickly, though. 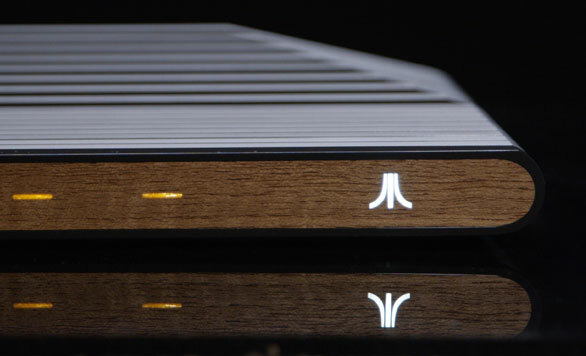 The world is still waiting for the much-heralded Ataribox to make an appearance, so nostalgic gamers will likely be taking press reports from Atari with a pinch of salt. > Notebook / Laptop Reviews and News > News > News Archive > Newsarchive 2018 02 > Can the Atari Token gobble up cryptocurrency competition?